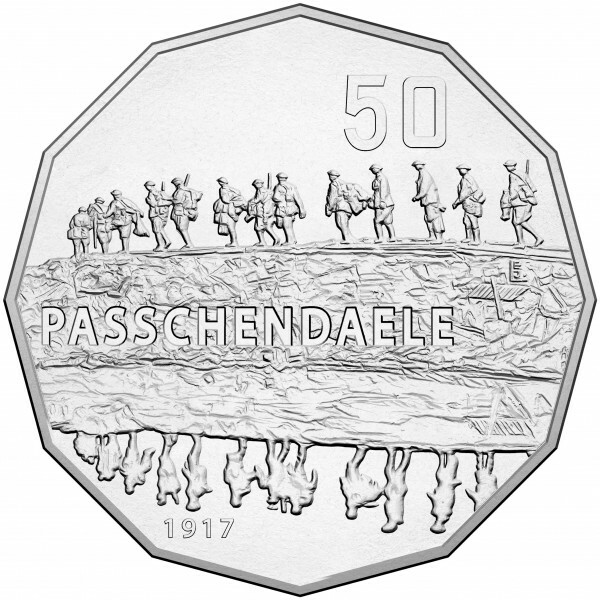 The 2017 Battle of the Western front 50c Uncirculated Coin - Passchendaele is struck by the Royal Australian Mint. 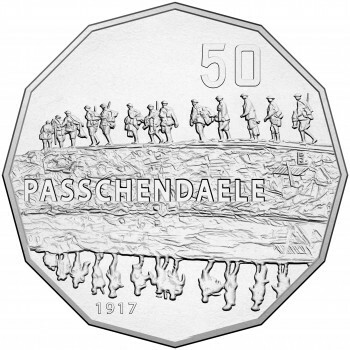 Housed in a stylish presentation card this 50c Coin was struck to remind us of the battles in Passchendaele. 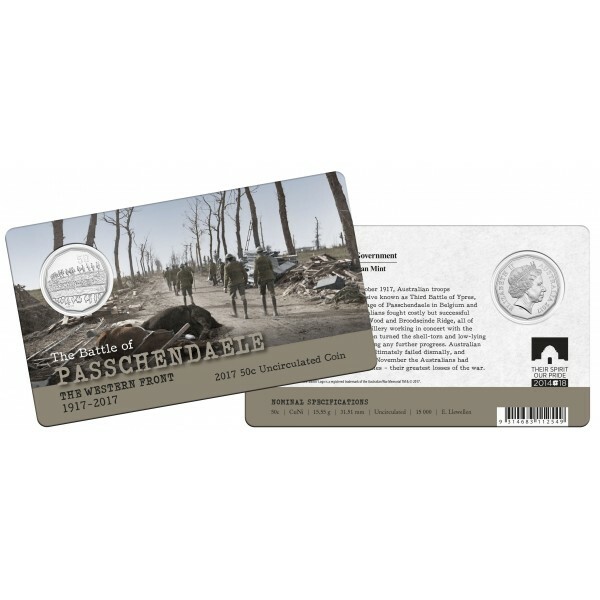 Costly and unsuccessful, exhausting and deadlocking, the battles in Passchendaele were a trial for many Australian soldiers. 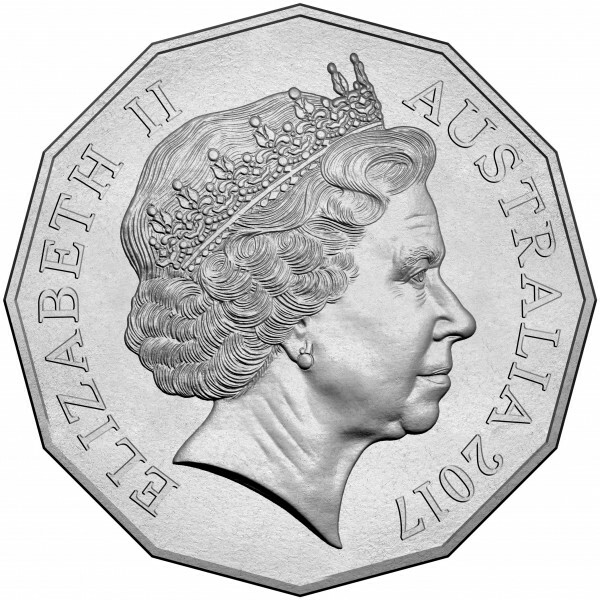 As a tribute to their efforts in late 1917, during the Third Battle of Ypres , this coin remembers their initial gains, beset by heavy losses (and more than 38 000 casualties). This fourth release in the Western Front series will be a popular piece for collectors and military enthusiasts.